You already know that photos make a huge contribution to the price you’ll get for your home, right? Is it a young couple? An older couple? A small family? A large family? For example, if your home is best suited to a retired couple, we could assist you to arrange for people who match that description to pose in photos at sunset clinking 2 glasses of wine together. Did you know we can arrange the short term hire of the right furnishings from home furnishing specialists for the photo shoot (and open homes)? This is yet another example of EVES people maximising the value of your home by paying real attention to detail that appeals to the market. If you are thinking of selling your home, reach out to your favourite EVES agent or your nearest EVES office>. Last week we saw 45 stores and eateries, including the likes of retail giant H&M and an Event Cinema complex, have their grand opening at Tauranga Crossing. The anticipation from local shoppers had been high in the lead up to the big day for this $150 million development. Prior to this in December last year, Stage One of the new Bayfair development opened with the final stage to be opened later in 2019. Once completed, this will have cost around $115 million. These new developments wouldn’t be possible or profitable if we didn’t have the fifth largest and fastest growing local economy in the country. It’s fantastic to see that developers and investors can see value like us locals do, and are continuing to look to Tauranga as a great place to invest. This increases the number of jobs and puts money back in to our local economy. It’s great that there is the foresight to complete these projects now so that we are set up for years to come. A few weeks ago I wrote about the potential introduction of capital gains tax across KiwiSaver, property investment and so forth and then yesterday I arrived home to my tax bill in the mail. My husband waved it at me and grunted and my reply was, “well, you’ve got to earn it to pay it!” And then I reflected on property investment and the fact people are saying that if capital gains tax is introduced then property investment is no longer attractive. I think back to what I paid for my first home in 1986 - $26,500, what the value of that same property is now and I realise that property is actually one of the best and safest investments available. Before you think about increasing your KiwiSaver as has been allowed this week, think about leveraging off your existing property to buy an investment. I assure you, you won’t regret it. At EVES, we are proud of our sponsorship of many sporting individuals and teams and in supporting them their success becomes our success. This is most definitely the case when EVES Greerton Cricket team represents Northern Districts at the National Club Champs in Auckland this week. The EVES Greerton team has competed all summer to win the right to compete in a round robin competition to determine the national club champion for the 2018 – 2019 season. We wish them well and will be following with interest. The market is still strong with good numbers of buyers coming through open homes. We are still seeing a large number of retirees selling in Auckland and moving down to the Bay of Plenty where their dollars go so much further. If you are thinking of selling we need to be talking to you now. Call any of our EVES offices and speak with any one of our EVES salespeople. I see them everywhere, in their lycra on their e-bikes, in and on the water – everywhere. Which is exactly why Tauranga is the perfect city to hold an Active Seniors and Retirees Expo. This year’s expo is on Saturday 23rd and Sunday 24th March – open from 10am until 3pm, and is being held at Trustpower Baypark Stadium. There you will find over 50 exhibits, including retirement village insights, travel offers, clubs to join and there will even be wine tasting. The best part? It’s free! If you are going to come down, make sure you come and see the team from EVES, we are on Stand 31. If you visit our stand, don’t forget to test out your putting skills and if you manage to get a hole in one, there’s a chance to win a luxury hamper! We will have some great housing solutions for you, as well as an exclusive offer to help you with your next move that will only be available if you attend the expo. Just quietly, I am looking forward to going. I hope to see you there. In 33 years in the real estate industry I have seen a lot. There have been a lot of changes but none as great as the new AML (Anti-Money Laundering) policy imposed on our industry by the Department of Internal Affairs from 1 January, 2019. For those people selling property, the questions salespeople have to ask now can most certainly feel personal and invasive. Having to ask questions of the vendors’ wealth and how they paid for their property (where a property is in a trust) is a really uncomfortable situation for salespeople as well. However, two months down the track and upon reflection, it would have been far easier had there been more education available to all parties. This is what we are trying to do now. We have created an excellent video, to prepare you for the questions that may be asked of you and what evidence you may have to provide. More often than not, it’s more straight forward than it seems – it’s just knowing what and why. If you are considering selling, view the video at eves.co.nz/AML or get in touch with one of our salespeople so you’re well informed when it comes time to list your property. Auctions are designed to flush out any cash buyers for a property - this is the ultimate for a vendor selling their home - to get a cash unconditional sale at a level acceptable to allow them to move on with their lives. During the auction process, conditional buyers will view the property as well – these are people with things to arrange like finance, or they have a home to sell themselves. Immediately after a property is passed in at auction those buyers identified as potential conditional purchasers for the property are dealt with. On average, over 20% of the properties we take to auction go under contract within 14 days of the property being passed in. Auctions are still the strongest method of selling residential property and our passionate EVES auction department and our salespeople do auctions really, really well. If you are considering selling give us a call and let us talk you through this method - it works! Wow! The government possibly did not expect the reaction and back lash to the announcement of a pretty general capital gains tax being imposed on one of New Zealander’s favourite investments - property! Or maybe they did. It seems that this is a topic very dear to our hearts, particularly in the case of Baby Boomers who recognised years ago the Superannuation was not going to “cut the mustard” when retirement time came. Many have planned for retirement by investing in a rental property which gets paid off with taxed income and rent returns. Many invest into Kiwi Saver in the belief that the medium risk investment will show a profit when it is time to retire. In other words many New Zealanders are trying to be fiscally responsible. The reaction to the announcement was huge; property in particular has always been seen as a “safe” option for investment and literally hundreds of thousands of us own maybe one or two properties that we will cash up and reinvest the funds so we can continue to live a moderate lifestyle. It’s not about getting rich. It’s about enriching our retirement years. Maybe more questions need to be asked about how CGT will affect us all. The local economy continues to benefit from out of towners travelling here not just for tourism but for work. 3000 vacancies were advertised last week for pickers required for the upcoming kiwifruit season. Friends recently told me they started coming here to pick fruit and having loved the area and the people so much, they decided to move here. All these factors help our economy to flourish as do the numerous cruise ships and tourists coming to visit. Further signs of our flourishing economy would have to be the number of commercial buildings either currently under construction or where building permits have been applied for through the council. On the housing front, the number of homes sold across the city was up 22% on January 2018 and prices remained steady moving up 3.3% on the previous year. All of these things are showing a good, solid market and a good option for those people thinking of buying or upgrading their home. If we can assist with either of these, make sure you call into any one of our eight offices throughout the Bay of Plenty. Your Home is a Precious Place! At the time of writing this, it looks like the amazing firefighters have finally got the fires in the Tasman area under control. The brave men and women have fought for days and nights on end. The evacuation of homes close to the fires has meant our defence force is also involved. They’ve taken an all-out, all hands on deck approach which hopefully means the fires will stay under control. It must be heart breaking watching everything you have ever worked for, and no doubt still owe money for, put at risk. The absolute grief on the faces of those who have lost their homes, their personal possessions and their memories makes me value and appreciate my own home and my belongings all the more. Your home is your castle. It’s a special place and important to you and your family. It is, in most cases, your largest investment. At EVES we know all these things. That’s why we treat every sales transaction with professionalism, care and concern. If you are thinking of selling, let us help you with the process. We get it! At the time of writing this, I have not seen the figures for new properties coming to the market in January, but I suspect that they will be low. Anti-Money Laundering (AML) laws that came in to effect on 1 January force a greater level of due diligence by the real estate provider, slowing the listing process right down. Initial reactions to this have been varied and in hindsight I would love to have seen more promotion around these new laws however as we are becoming more accustomed to the expectations on us from the Department of Internal Affairs, and as home owners also become more informed the process is getting a little easier. We are exceptionally lucky as a company to have a dedicated Compliance Manager, looking after our, and your, interests! EVES will be working hard to keep everyone safe from litigation and we have just recorded a great video, explaining the process of listing your home for sale and the information you may need to provide your real estate agent. If you are thinking of selling, contact any one of our EVES people and check out our video at eves.co.nz/AML. 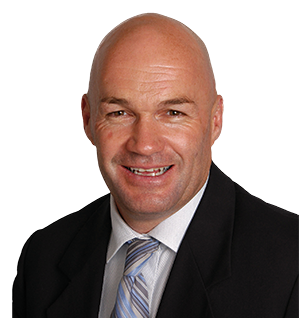 Late last year Tauranga City Council released new rateable values to home owners. Rateable Value is calculated taking three things into consideration – the Capital Value (CV) based on comparable sales in your area, Land Value (LV) based on the sales of bare land in your area and the value of improvements (CV – LV). Rates are charged on the Rateable Value (RV – this used to be known as GV or Government Valuation). The council are very clear that the revaluation process is not done to provide values for property owners - for marketing, sales or any other purposes. It is done primarily for rating purposes and the Council are required to do this by law. Market Value, the price you could expect for your property if you were to sell it today, is based on several different factors: supply and demand of your type of property in your location, interest rates and the economy in general. Obviously physical factors such as presentation, appeal etc. are also taken into consideration in working at market value. Sellers and buyers often confuse the two! They are very separate and should be treated as such. By now most people have returned to work - our camping grounds have cleared a little and the roads are busier on the way to and from work. It has been another outstanding period for the Bay with concerts, international and regional cricket, horse racing and copious amount of water and sports activities. The region has benefitted from the millions of dollars that comes with all of these activities being held over this period. The real estate market has started strongly as well. In this week’s EVES Property, you will see the new properties that are now on the market. We get a sense that 2019 will be another strong year, with plenty of buoyancy in the property market. Visitor interest and activity remains constant. To stay up to date with what is happening in our ever changing market, check out our blog at eves.co.nz, follow us on Facebook or call one of our EVES salespeople. Property laundering, where criminals purchase property in order to “clean” dirty money has been on top of the political agenda to address for a number of years now and as of January 1, 2019 the real estate fraternity is tasked with playing its part in reducing this criminal activity. This means for you as a seller, or where a real estate agent is employed to act as a buyer’s agent, there is certain information required by the Department of Internal Affairs that the agent has to ask for. In the most simple of cases, minimum requirement is proof of identity and a utility bill such as a power account with the owners address on it. In more complex ownership, such as where a property is held in a trust, more documentation is required. Once we have the information the process is very straightforward – we do what we are employed to do and that is to sell your property. For more on the Anti-Money Laundering Act or AML, contact your local EVES salesperson or view the information on our website. For most of us the festive season is over and we are back working and catching up with our colleagues’ adventures over the Christmas and New Year period. In the world of real estate we have already seen people have made New Year resolutions, resolutions that involve selling to buy again, trading either up or down in size of home, depending on their family situation. We have also seen a huge amount of enquiry from outside of the region for those people who love the Bay so much they now want to invest here. Looking at the stock available, the numbers are down. It is that old supply and demand thing – the less stock, the more viewers, the greater the competition and the higher the sale price. So if you are asking the question “is now the right time to sell” the statistics give you the answer - yes it is! We still have our free marketing packages on offer so don’t wait – get in now. All of our teams back on deck to assist you. Keep enjoying these beautiful summer days but make sure you cover up - that sun is fierce! 2019 has arrived and with this comes new opportunities. If your New Year’s resolution involved a property investment then you will enjoy this bumper edition of EVES Property. Right across Tauranga and the Mount at this time we welcome visitors from around New Zealand (and the world) to our beautiful city. Many, like you, will enjoy their time here so much they will want to plan for a return. Why not talk to one of our EVES agents today with regard to the property market here. You never know your luck! Our market continues to grow and the region benefits hugely by attracting new businesses, new families and great opportunities. All the ingredients are there for an exciting and prosperous 2019 for our region. As a proudly locally owned and operated business we are looking forward to continuing to help locals get great property results. Wishing you good health, happiness, and success in the coming year and always. Happy New Year and may your property dreams come true. We have witnessed a New Zealand property market in 2018 which is best described as a return to ‘normal’ following a couple of boom years. As much as the commentators have attempted to find fault, market conditions continue to remain positive. We have seen consistent interest this year in our property market across all sectors and locations again reflecting the desirability of the Bay of Plenty. REINZ figures released last week illustrated this with the number of properties sold in the Bay of Plenty increasing by over 17% on the same month last year with an increase in the median house price by 3.5%. At EVES, November saw a good number of listings coming to the market with many great success stories and as we head to the end of the year, this month has seen much of the same. We’re so glad to have seen so many happy sellers and buyers end the year on such a high. At this time of the year we would like to wish you all a very safe and happy Christmas. Thank you for your business over the last 12 months and I hope you can enjoy some quality time with family and friends during this most wonderful time of the year. We remain ‘open for business’ over the festive season so if we can help with your next property transaction give your local EVES salesperson a call and they will be happy to help you out. Supporting our community is a very important part of our business. One of our favourite times of the year is the annual presentation to the Trustpower/TECT Rescue Helicopter. Every member of the EVES team – that’s salespeople, marketing, finance, administrators and personal assistants - has the opportunity to contribute on a regular basis through their pay and then the company rounds this into a sizeable cheque. Those that can, head out to the Ian Pain Memorial Hangar at Tauranga Hospital to enjoy a morning tea with Pilot Manager Liam Brettkelly (see below). The cost of operating our local rescue helicopter is huge and without community support would not be able to remain operational on a 24/7, 365 days a year basis. You don’t have to go far to hear a story about how the helicopter has saved the life of someone close to them. The real estate market in the Bay shows plenty of positive signs as we head toward Christmas. The latest NZ Property Report released by Realestate.co.nz indicates that while there may not be the same heat in our market as was felt last year, the market is more stable and ‘normal’. That’s good news for buyers and sellers. The report went on to show that new property on the market for November was 874 across the Bay of Plenty at the time of the report’s release, with a total of 1,682 residential dwellings for sale. Further good news is the further relaxing of the LVR by the Reserve Bank for both first home buyers and investors which could allow both groups more room to move while continuing to promote overall stability. This comes into effect in January 2019. This news, along with our own very strong sales results, shows that our wide range of product offerings and sound understanding of market conditions is continuing to work in favour of our customers. We welcome every opportunity to help you achieve the goals that are important to you – whether you’re looking to sell or purchase property. Talk to us today about what’s happening in your market. Many of the main banks have dropped their one and two year rates to under 4% for a home loan which would once have been inconceivable. This, together with low returns on other types of investments, a hint that the LVR may be relaxed and the continuing housing shortage are all contributing to on going demand from investors and steady demand from home buyers, for good property. What does this mean for you if you are wanting to sell and achieve a premium price? What it means is you will need a salesperson who listens to what you need, who understands your situation and who can make the right recommendations and has the right resources and network to provide you with the best results. So, if you are thinking of selling now, talk to us right now! If you are thinking about selling in the January, February, March period, then you need to talk to us right now too, so that you can learn how to take advantage of the many secret benefits ‘hidden’ within this time of the year. Success favours the prepared. Call EVES today. Some buyers have a perception that securing a property prior to auction means they will get it cheaper by eliminating other buyers. Quite often this can be the opposite given the property is fresh to the market and the reaction from buyers looking for that type of home can inflate the initial perceived value. Options for owners in receipt of early pre-auction offers is to give all buyers expressing interest equal opportunity to purchase their home by bringing their auction forward or calling for offers from all parties expressing interest. When an owner brings an auction forward it is transparent and you can monitor your competition’s actions and take comfort that you may only pay a minimal amount more than what another buyer is prepared to pay. Outside of the auction arena there is a risk of paying significantly more than what someone else is prepared to and your purchase price may end up in excess of market value. Some buyers have also been known to act prematurely and purchase a property pre-auction without completing effective due diligence which can also have some serious and costly long term consequences. It’s wise to exercise caution when buying prior to auction. When I review the constant flow of data that comes across my desk I’m heartened by the continued growth and confidence in the Bay of Plenty. The Bay continues to perform well against other centres and that vibrancy can be seen in new subdivisions, the number of building consents, retail and commercial developments and the job market. And if you need any more proof that our area is growing then simply try to drive anywhere at peak times. What does that mean for you? It means that you too can take heart and have confidence if you are thinking of buying or selling right now. The next decision you may face is, “Who can I trust to look after me?” Rest assured that our people are trained and tuned to the current market conditions and what’s working best for our clients and customers. They will guide you through the processes relevant to your situation so that you can achieve what’s important to you. So when you want to know for sure that you are in good hands, call any one of our EVES consultants and let them show you how they will take care of you. One thing is constant in the Tauranga, Mount and Papamoa real estate market and that is change. Every week at EVES, we experience something new that makes you rethink market conditions and what really is the best way to assist our vendors to maximise the value of their real estate assets. We are very fortunate that when you take a look across the EVES sales team you will notice a very good blend of experienced, well established and acknowledged real estate professionals. This blends nicely with some fantastic new entrants to the industry, making their mark and building excellent reputations. Typically they have come from successful backgrounds with high levels of people contact and good communication skills. To support this, they receive EVES intensive training and continued support. All these aspects are critically important so that we remain current and adaptable. When an EVES salesperson makes a recommendation to you in regards one of your most valuable assets then this advice is relevant. The outcome of this? Every week EVES salespeople receive steady buyer enquiry from within the region and increasingly from newcomers to the region. With the right mix of recommendations, skills and personality we will bring to your door the very best buyers in the current market. The run up to Christmas is always a great time to put your property on the market, because many people like to have secured their new home before the Christmas break, knowing they have a fresh start to the new year ahead. That means that if you are thinking of selling, now is the time to act. Well within the median number of days to sell and still with time to prepare and launch onto the market properly with an agency that is a recognised expert in doing that; giving you the peace of mind that comes from being in safe hands so that you can achieve those goals that are important to you and your family and to achieve a premium price. With motivated buyer demand strong, interest rates low and clever marketing and first class management of our campaigns, auction clearance rates remain high, so why not put that to work for your advantage? Let us show you the ‘secrets’ to how to sell well in today’s market so that you can enjoy Christmas. Eight weeks to go, call any one of our EVES salespeople now. When you are unable to attend an auction there’s no need to run the risk of missing out on your dream home. We can assist by accepting your bids via telephone so you are still in touch with the live auction, but first you must register your interest by signing our telephone bidding authority which will in turn be approved by the owner of the property. Ask your agent to send you our ‘buying at auction by telephone’ video which will give you some tips on how to be the successful purchaser by phone. Having a pre-determined bidding strategy will go a long way to overcoming the disadvantage of not being able to attend the auction to see what your competitors are doing. You will be able to participate in the auction in the same manner as being in attendance by staggering your clear instructions to your agent which will then allow them to participate on your behalf in a timely manner whilst keeping you informed of what is happening during proceedings. If the auction goes past what you are prepared to pay you’ve lost nothing, but being secretive about your bidding strategy may lose you the opportunity to purchase. At EVES, we are passionate about harnessing the power of marketing to achieve the best possible outcome. We go further to find the right buyer for your property, not just the first buyer. We take pride in our ability to factor in the many variables of selling a property; we know each property, vendor and purchase is unique. By reaching more people we can create more competition and greatly increase the chances of getting a better price for you. Leading into summer has always been a great time for buying and selling property in the Bay. As the weather warms we always see a lift in the market, as people begin to think about a move to a new home to take advantage of summer in our beautiful region. To help you make the most of this lift in the market, we have designed an exceptional marketing campaign so that your property can get the best and most exposure possible. We’ve created a multi-channel campaign that can profile your property to a wide audience with the ability to easily add-on and upsize your campaign to increase your presence in the market. And when you list with EVES, it’s free. Give your favourite EVES agent a call today to find out more. Our salespeople know that it’s invaluable to communicate to as wide a group as possible in regards to any particular property being marketed by them. This is to maximise the opportunity for your salesperson to find the best possible buyer for your property. Successful real estate professionals have a wide network of friends, colleagues, referrers and influencers. This is also invaluable when it comes to letting people know what’s happening in the world of real estate. At EVES we have very busy salespeople who also take time to play an active role in their community. This may be through involvement with their children’s school, a sports team, cultural activity or through belonging to an interest group, service club, charity or church. There is a very long list of these sorts of possibilities and across our EVES teams this makes us very well connected. EVES leading profile in the region is not taken for granted and is not just a result of the significant number of properties sold by our teams but also due to the major part our people play in the wider community. Talk to EVES today about what’s happening in your market. The median sale price for Tauranga was $574,000 by comparison to $560,000 for the previous year. For the same month, in the Mount/Papamoa was $665,000 compared with $671,000 the previous year. Year on year, then no real swing up or down in terms of price. The number of sales in Tauranga was 141 by comparison to 137 in the previous August. Mount/Papamoa was 96 by comparison to 104 last year. So, no real change in volume either. The median number of days to sell appears to be holding with Tauranga at 43 days by comparison to 42 last year. The same trend can be seen at the Mount and Papamoa with 46 days and last August at 43. However, what is significant is that from August 2015 to now the median number of days to sell is getting longer which means sellers have to pay particular attention to their marketing campaign and method of sale if time is a pressure for them. The total number of properties on the market in Tauranga is like September last year. The Mount/Papamoa it is somewhat lower making this a great time for sellers in both areas to capitalise on the opportunity. Some buyers have a fear of auctions for a variety of reasons. Some feel the process is stressful while others have a fear of paying too much and some are afraid of being tricked into paying more than they want to. Overcoming this fear is simple when you understand how an auction is conducted and how to go about bidding. Vendors will set a confidential reserve price which is a figure at which the Auctioneer is authorised to sell the property and unless this price is reached during the auction the property cannot be sold without further consultation with the vendor. Buying at auction is easy when buyers bid with a three figure strategy which is predetermined prior to attending the auction. The first is a price you would like to pay for the property, the second is a price you would still be happy to pay and the third is a walk away price. As long as you don’t exceed your walk away price, the fear of buying at auction is eliminated. EVES has a comprehensive buying at auction video outlining how to buy at auction in depth so contact your favourite EVES salesperson and they will provide this for you. Our region continues to enjoy good buyer inquiry right across our price ranges. In some areas a lack of new listings to the market has created increased demand, especially at the top end of the market. Mount Maunganui property values continue to climb as the oceanside suburb edges nearer to the $1 million mark. Data released by NZME’s OneRoof show the median value of Mount Maunganui property reached $890,600 as of July 31 this year. The value is a surge of more than $70,000 from the previous year, making Mount Maunganui the Bay of Plenty’s most expensive place to purchase property. The same data pinpoints Merivale as Tauranga’s most affordable suburb with a median value of $446,600. The Tauranga market experienced a small slowdown over the winter, yet it is still ticking along nicely, with sales actually better than this time last year. While first home buyers, although active, are taking longer to transact due to financing constraints and options currently in the marketplace. If you are thinking of buying or selling, talk to EVES today. With a slight increase in the supply of residential property to the market of 0.8% by comparison to the same period in the previous year and a slight decrease in the average asking price of 5.1% by comparison to the previous month (source: Realestate.co.nz monthly property report), these stats would suggest we are in a balanced period between willing buyer and willing selling. However, in conversations with many of our expert teams, they tell me they have many buyers who are frustrated because in certain price ranges there simply isn’t enough property to look at with the features they need in their next property. Interest rates remain at some of the lowest rates ever. The region’s GDP continues to track ahead of the whole country at 3.9% vs NZ 2.7% (Source: Infometrics quarterly monitor for Tauranga City). So, is this a good time to sell? I believe that if you need to be sold before Christmas, you should want to take advantage of the sun’s magic on people’s moods. Also remember that many buyers will want to be in their new property before Christmas. So then, the answer is yes. Now is the perfect time to call your local EVES agent. EVES - Exceptional. Every day. The recently released Quarterly Economic Monitor – June 2018 completed by Priority One announces some very interesting results. • GDP growth was 3.9% vs NZ 2.7%. Tauranga’s economy has been growing above the national average for 20 consecutive quarters, with the upturn broad based across all indicators of spending and investment. • The commercial construction industry is experiencing unprecedented growth, with non-residential consents 98% higher vs NZ 10%, however, residential consents dropped by 15%. Which could mean existing property will have less new builds to compete against in the near future. • And even though the housing market quietened, it still showed some growth in sales at 0.5%. • Spending indicators were strong, indicating households are confident in their employment and financial position. Retail trade activity increased 5.0% vs NZ 4.4%. • Unemployment remains very low at 4.1% vs NZ 4.5%. • Both domestic car and commercial vehicle registrations increased over the year, climbing 3.9% and 4.1% respectively. • Traffic flows into and around the city increased 3.9% over the year. Overall the city is strong and now is a great time to talk to anyone of our exceptional EVES people to take advantage of the pre spring and spring market opportunities. Buying at auction is not a daunting experience when you are educated in the process and follow a bidding strategy. Vendor bidding is one aspect that scares some people and the myth that vendor bids are used to push the price up is still a perception in the market that is misleading and incorrect. Some buyers feel that vendor bids create a situation where they are bidding against themselves which is also incorrect. Property owners will always set a reserve price where they are comfortable to sell their property at and vendor bids are only used to assist a buyer into a position where the auction is paused and negotiations continue between the highest bidder and the seller. At an EVES auction, vendor bids are used if there is only one bidder participating in the auction below the vendor’s reserve and will be to a level where the owners are prepared to continue discussions. These bids are only exercised by the Auctioneer and are clearly announced. Once negotiations are completed any amendments to the bidding will be announced and the auction will be resumed until sold or if agreement on price is not reached the auction will be closed. With the weather of late being less than ideal, we can’t blame you for looking forward to spring because we are too. In spring, the landscape changes – lambs, blooming flowers, blossoming trees and the temperature rises. So too does buyer activity in the real estate market. Spring has always been a good time to sell. Although spring can bring out more homes for sale for you to compete with, it can also mean more buyers. Traditionally we see a rise in potential homebuyers during this season than other months of the year, which means there is the potential get more offers than any other time. We also find that buyers are wanting to be in their new home before Christmas, meaning that they need to be out and about viewing property and purchasing well before summer starts. So there is also potential for your house to be on the market for a much shorter time than it would be throughout other seasons. To ensure that your property is on their must-see list, you need to market it well. After all, you can’t sell a secret. You need to make sure that you have enlisted the right agent equipped with just the right marketing options for you and your property. EVES can help. Talk to us today about selling your property in spring. When you look at a real estate company from the outside you could be forgiven for thinking that we all look the same. Take a peek ‘under the bonnet’ and the opposite is true. We all know that anyone can do it for less and fee discounters will always be in our market. However, all vendors deserve value for money whatever the level of fee is. They deserve the best nett result. Cheaper fees do not equal the best nett result for you. The best nett result comes from a combination of many things your EVES agent will do for you. The best nett result comes from good advice to prepare your home prior to going on the market. The best nett result comes from great marketing to showcase your home to as wide an audience as possible. The best nett result comes from exceptional service levels so you understand, every step of the way, what is happening in the market and what this means to you and your home. You need someone you can rely on and trust, someone who will give you the best advice, someone who has the know how and the connections and who has access to exceptional systems and support. This is priceless. Select your agent wisely. Talk to EVES today. In real estate it’s important to take the time to accept that the world is changing. Process improvement is an ongoing positive challenge for us at EVES. The enhancements and developments provided via IT and business systems continue to provide many advantages to our sellers and buyers in our business. In our continuing commitment to provide our clients and customers with the very best ways to achieve their goals, we are naturally very focused on this plus delivering exceptional service through our people. This also offers up business growth opportunities in our changing world. As we continuously provide our agents with improved tools to offer you better service, we have also exposed the EVES brand to the regions. With all the good work our people have been doing we have been attracting attention. We are very proud of our people and are always looking for exceptional people to join our family. It is with great pleasure we announce that major offices in Hamilton and Whangarei have rebranded as EVES. This gives our brand wider recognition and opportunities to provide our great service to benefit even more sellers and buyers. The property market is still going strong and there are many people in Auckland and the North looking to relocate to the Bay of Plenty and Waikato regions where properties are considered better value and lifestyle is a priority. 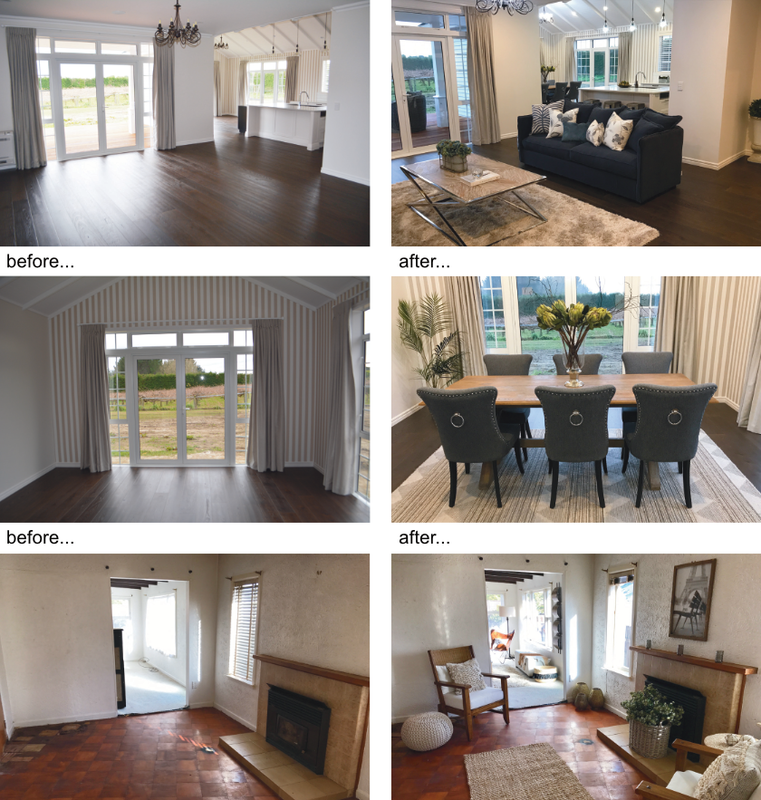 EVES are capitalising on this interest by publishing a special A4 edition of Eves Property Magazine, featuring properties exclusively from the Bay of Plenty and Waikato and showcasing this at our stand at the iconic Auckland Home Show. We will also be distributing the magazine to EVES agents’ purchaser databases. This is a great chance to showcase your property to a large, quality audience of buyers. So if you’re looking to sell a property, talk to your local EVES office today. EVES – Exceptional. Every day. Ever since our beginnings in 1969 we have worked hard to be exceptional. We know that to be exceptional, you need exceptional people. Our salespeople at EVES are committed to excellence and to making buying or selling property as smooth and easy as possible for our customers. Our salespeople are passionate about real estate, have great local knowledge and a commitment to our communities. This week, we are very excited to launch EVES new video and brand philosophy – Exceptional. Every day. This is something that describes us as a business – and what we constantly aim to be. At EVES, every day we work hard to ensure our service, local knowledge, marketing and results for our customers are exceptional. Every day our agents work hard to understand your goals and aspirations when selling or buying property and they are determined to bring you the best results. Look out for our new video on Facebook and our website. If you are looking to buy or sell property and want to experience exceptional service, marketing, and results - talk to EVES today. 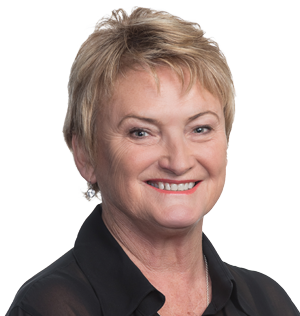 EVES has been operating in the Bay of Plenty property market for more than 30 years and during this time has provided the service of assisting property owners with managing their rentals. At EVES Rentals we offer a full property management service. This begins with careful and thorough tenant selection, regular routine inspections with good communication to our property owners regarding any maintenance required plus ensuring a market rental is attained. Our stringent tenant screening process combined with our robust rent policy ensures that our landlord’s investment is maximised. Landlords and property managers face a myriad of challenges with current legislation requirements, including but not limited to; smoke alarms, insulation, health and safety and council requirements for legal and habitable dwellings. With the prospect of continuing changes to legislation it is important to engage a professional property manager. Our team regularly attend trainings and are kept up to date with the latest information. In our region EVES has 16 experienced property managers, based in strategic locations successfully managing over 1,500 properties. When you are considering a property manager for your investment or family home then do come and talk to us so we can show you the EVES advantage. The longest day has been and gone and spring is nearer than you think. Great I hear you saying, because that’s when I’m intending to sell my property. Good idea? As an industry insider I can tell you that if you want to achieve a premium price within a short period of time, that idea is the classic mistake sellers make at this time of the year. Instead of capitalising on the supposed spring rush what you may find is the exact opposite as others who are also acting on that mistake flood onto the market and the market becomes awash with everyone else trying to achieve the same thing. So instead of competing with perhaps a handful of properties in the same price range trying to attract a finite number of purchasers, you end up in a crowded market with many more properties all still competing for the same finite number of purchasers, and that adds a lot of unwelcomed stress to the process. If you are serious about selling and you want to achieve a premium price, call EVES now, select a strong auction campaign and give yourself the very best chance to sell well. EVES. Great people, great marketing, great results. If you’ve heard the old cliché of ‘if you snooze you lose’ - it’s a time of the year when this can become reality if you are thinking of selling. Whilst many are thinking let’s wait until spring when things get a bit brighter, buyers are still active in the market place which has clearly been witnessed in our auction room over recent weeks. The reasons that we buy and sell real estate are not governed by the time of the year, they are governed by our changing personal needs and circumstances along with all the things that happen in life. Your buyer may just be in search of your home as you read this article. More importantly, the best way to force those buyers to act is by utilising the auction method of sale where the benefits are stacked in favour of both buyers and sellers. In the current market buyers have limited choices but still need somewhere to live which enhances the opportunity of creating a competitive bidding environment on auction day. Waiting until spring provides buyers more options therefore creating more competition for you as the property owner. The days are getting colder and wetter, but that does not mean buyers should be going in to hibernation. There are some benefits to braving the cold to attend open homes and buying during the winter months. Winter can reveal many details about a property that buyers typically wouldn’t be able to see in the forgiving months of spring and summer. The cold, moisture and wind will test the ability of the home to insulate and keep warm, something that you want to know about if you are going to buy - and something you are far more likely to notice in winter. Visiting a home during a rainy period can also identify any problems a property may have regarding drainage or leakage. Cloudy winter days can also highlight places in the property that are less likely to get any sunshine. If you’re looking for a new home, take advantage of winter and start your search today with Eves. Call any of our offices and speak to the team today. EVES, excellent people, excellent marketing, excellent results. Busy, successful real estate professionals usually have a wide network of friends, colleagues, referrers and influencers. This is valuable when it comes to letting people know what’s happening in the world of real estate. It’s also valuable to communicate to as wide a group as possible, in regard to any particular property currently being marketed. All this is to maximise the opportunity for a salesperson to find the best possible buyer for any given property. At EVES we have some very busy salespeople who take time to play an active role in their community. This may be through involvement with their children’s school, a sports team, cultural activity or through belonging to an interest group, service club, charity or church. There is a very long list of these sorts of possibilities and across our EVES teams we cover almost all those bases. EVES leading profile in the region is as a result of the significant number of properties sold by our teams, but also definitely due to the major part our people play in the wider community. Data released by Realestate.co.nz for May showed there were 1,503 residential properties for sale in the Bay of Plenty, up 0.7% on the previous month with an average asking price of $623,896 (a decrease of 7.0% on the previous month). So what is the market doing? It actually doesn’t matter. What matters is what you need and what we can do to meet those needs within those market dynamics, because property that is well presented, matched with the right method of sale and a cleverly aimed marketing campaign promoting the benefits of your property’s features, while being managed by a competent salesperson who is supported by many experienced managers, peers and world class resources, will be major factors to achieving the result you want. So no matter what type of property and no matter what your situation, we have the people, experience, track record and resources to be able to help you achieve a successful result. Call any of our people today to find out how we can do that for you. First home buyers that require due diligence to be completed prior to purchasing a home should not eliminate viewing auction properties, it could well be your dream home that fits all the criteria that you are looking for. An auction is just a different method of sale that allows a property owner to work with cash unconditional buyers on auction day, however, should the property not sell, any conditional buyer can immediately come forward with an offer conditional upon your satisfaction of any due diligence requirements you have. First home buyers should be aware that there are only a limited number of cash buyers that can bid at auction and there are more conditional buyers in the market than there are cash buyers. Being the first of the conditional buyers to present an offer to a vendor is a very powerful position to be in so being ready to present your conditional offer immediately the auction is closed is a smart move and could secure the home of your dreams. For more information on this, contact any of our team who are more than happy to spend time with you and guide you through the buying at auction process. The iconic building may be gone but the team at EVES Mount aren’t going anywhere. They are currently housed in temporary premises in the Pheonix carpark while a new urban green space development is underway, providing a new space for people to enjoy in downtown Mount Maunganui. According to Tauranga City Council, the new space will feature grass areas to play and relax, native trees to provide shade and a flexible space for events and activities all year round. While the new permanent building is being constructed, it will still be business as usual for our Eves Mount office – they are here to help you with all things real estate. So if you are thinking of buying or selling, visit them at their temporary office today in the Pheonix carpark, Downtown Mount Maunganui. EVES - excellent people, excellent marketing, excellent results. Successful real estate professionals have a wide network of friends, colleagues, referrers and influencers. This is valuable when it comes to letting people know what’s happening in the world of real estate. It’s also valuable to communicate to as wide a group as possible, with regard to any particular property currently being marketed. All this is to maximise the opportunity for a salesperson to find the best possible buyer for any given property. At EVES we have some very busy salespeople who take time to play an active role in their community. This may be through involvement with their children’s school, a sports team, cultural activity or through belonging to an interest group, service club, charity or church. There is a very long list of these sorts of possibilities and across our EVES teams we are very well connected. Talk to EVES about what’s happening locally and if its superb real estate services you require, that’s what we do! EVES held its annual Awards last week and celebrated top performing individuals and offices for the 2017/2018 financial year. These nights are always so special as the whole group gets together to enjoy each other’s company, share some stories and celebrate outstanding performance. It’s our people that make this Company great and awards night recognises this. On the night, Danielle Hayes of EVES Mt Maunganui was awarded “Eves Salesperson of the Year” in a close decision over Chris Royal and Crystal Harvey from EVES Cherrywood. The much sought after “Eves Top Office of the Year” was won by Eves Cherrywood who snatched back the advantage from EVES Mt Maunganui, who were last year’s winners. “Eves Administrator of the Year” Sandy Steel from Eves Cherrywood is a fine example of the important role that our support staff have. “Eves Marketing Campaign of the Year” was awarded to Barbara Sternberg of Eves Bethlehem. To top the night off “Property Manager of the Year” was taken out by Alisa Cowdrey of Eves Papamoa. In today’s market where investors are sparse and buyer activity on properties is reduced, as a first home buyer you should see every property that is available for sale to find the home of your dreams. Turning rent payments into mortgage payments is a prudent action so never let the auction get in the way. The current market is experiencing a lot of early post auction conditional activity on properties that haven’t attracted the cash bidders at the auction. This increases your chances of securing the home you really want. Don’t wait until after the auction to view the property as you may just find it under contract before you have had the chance. Viewing the property and deciding it is the one you want is your first step, the second is to identify what due diligence clauses you would like in your offer then have your sales consultant prepare your conditional offer ready for you to sign and insert the price you would like to offer. By attending the auction you are then in a position to complete your offer and have it presented to the owner for consideration ahead of any other conditional buyers expressing interest immediately the auction is closed. It’s hard to know where to start when buying your first home. Over the past few months we have seen a strong return of First Home Buyers in our property market. We know this journey can be daunting, there are so many things to consider when buying your first house; location, price, type of home, local schools, transport and amenities, type of street, number of bedrooms, the list goes on. Then there is securing a loan, doing due diligence and the auction process to understand. In conjunction with Rothbury Life we ran another of our successful First Home Buyer seminars this week. A panel of experts including mortgage specialists, real estate experts, builders and lawyers joined us to discuss everything you need to know about buying your first home. We have all this information available and our sales people are happy to take you through the entire process, as well as help you find your dream first home. So call the EVES team today.